On October 24, 2012, a drone strike hit and killed Rafiq ur Rehman’s mother who was tending vegetables in the garden. For the first time ever, on October 29, 2013, Rafiq ur Rehman, along with his two children, will testify before Congress and share their story with the American public in a briefing called by Representative Alan Grayson (FL-09). 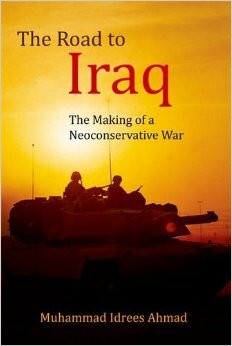 Max Blumenthal’s Goliath, Life and Loathing in Greater Israel, an interview on the Real News. Tanqeed is an experiment in critical reflection. It is a quarterly e-zine that publishes long form journalism and essays that analyze contemporary Pakistan and South Asia. Four issues appear per year, including essays, reporting and multimedia work published in-between each issue. 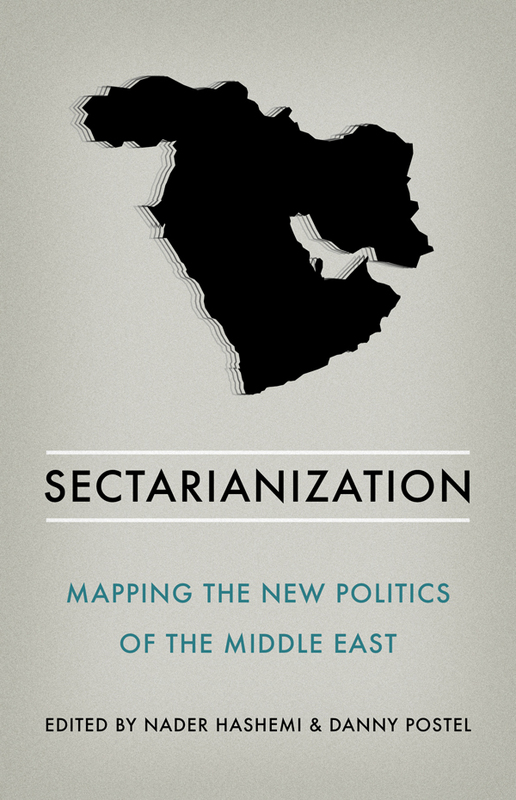 It aims to dissect a range of issues without falling into a narrative of hopelessness. And it is developing a conversation that is multi-lingual: Tanqeed’s issues are published in English and Urdu. Tanqeed boasts a great stable of writers including novelist Mohamed Hanif and Pulse co-editor Muhammad Idrees Ahmad. Tanqeed is currently appealing for funds. Donations of five or ten dollars (or more, of course) will be gratefully received. You can donate here. My latest for Guernica Magazine. Earlier this month, the British street artist Banksy produced a video on Syria that attracted over five million viewers in three days. At a time of intensifying state repression, the target of Bansky’s satire was not the regime in Damascus but its opponents. By contrast, the most watched video from the chemical attack in August, showing a traumatized young survivor, managed only half a million hits in over a month. Six weeks after the attacks on Ghouta that killed hundreds of civilians, regime forces have choked off food supplies to the targeted neighborhoods. Survivors of the chemical attack are now facing the threat of starvation. 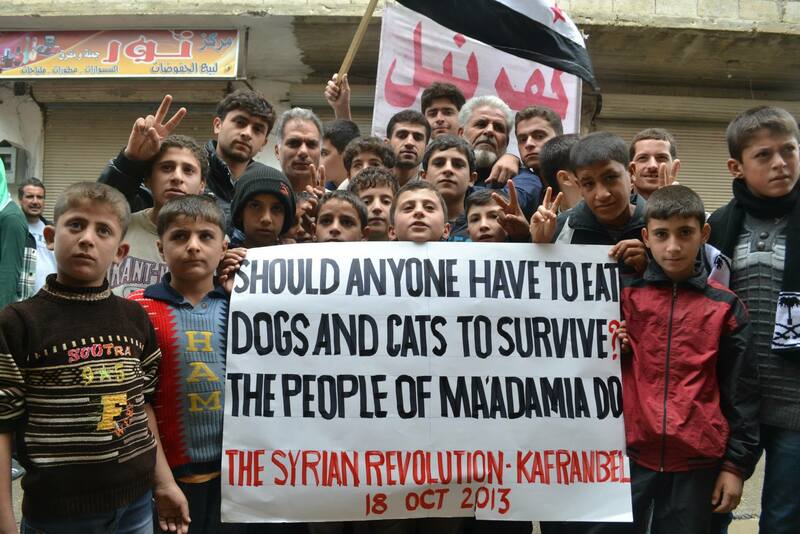 Children have been reduced to eating leaves; and clerics have issued fatwas allowing people to eat cats and dogs. The belated discovery of the Syrian conflict by “anti-imperialists” after the US government threatened war inspired impassioned commentary. The strangulation of its vulnerable population has occasioned silence. But dog whistles from issue-surfing provocateurs like Banksy are unexceptional; they merit closer scrutiny when they come from respected essayists like David Bromwich. 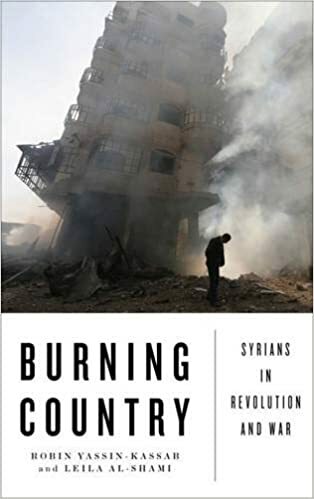 In a recent front-page article for the London Review of Books, Bromwich identifies many rogues in the Syrian drama: Barack Obama, John Kerry, Saudi Arabia, Qatar, “the jihadists”. But conspicuously absent is Assad’s Baathist regime. Vladimir Putin is the closest Bromwich admits to a hero. The Syrian people are denied even a cameo. As the Syrian playwright Saadallah Wannous wrote, “What we see now is not the end of history.” The processes playing out in the Arab world today will take decades to reach their conclusions, so extreme pessimism is as unwise as wild optimism. Nevertheless, at this stage it seems that the most comprehensively defeated of the Arab revolutions is not Syria nor Libya but Egypt, where genuine popular frustration with Muslim Brotherhood incompetence was so cleverly exploited by the military and its business class and Saudi backers (very many supposed ‘secular’, ‘liberal’ and ‘leftist’ Egyptians fell headlong into the trap). The coup solidified a junta in power which has destroyed democracy and the chances of democracy for the foreseeable future, slaughtered and imprisoned supporters of the country’s first elected president, appointed Mubarak-era army officials to governorships of the provinces, revalorised the security services, intensified the siege of Gaza, unleashed a savagely xenophobic campaign scapegoating Palestinians and Syrian refugees, and promoted a cult of personality around the figure of General Sisi. The panegyric below comes from the pen of someone called Lubna Abdel Aziz, and was published in the state-owned Al-Ahram Weekly. It could have come from a German newspaper of the late 1930s. He stands straight and tall, impeccably attired and starched from head to toe. His freshly washed countenance and youthful zeal shield a Herculean strength and nerves of steel. He wears the feathers of a dove but has the piercing eyes of a hawk. During our thousand days of darkness, dozens of potential leaders pranced and boasted, to no avail. The leader of the people should combine a love of country, a deep faith in God and the desire to serve the nation’s will. Abdel-Fattah Al-Sisi’s name lit up the darkness. He was called upon at a supreme moment in history; a kind of mysterious rendez-vous with destiny. He was a hero like no other! He aroused attention without exhausting it. Nothing that touched the common run of mortals made any impression on him. All in all, he is but a common man, with an almost aristocratic aura of a nobleman. 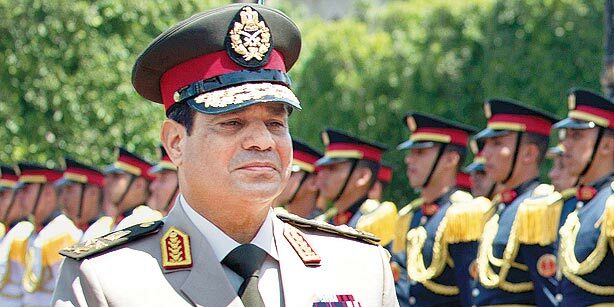 Composed and cool, Al-Sisi is everyman’s man, with a sort of serene majesty on his brow. He is the chosen leader of the people because he is willing to be their servant. Let the deaf, dumb and blind media and governments of the West say what they will, Al-Sisi submitted to the will of 33 million Egyptians in the street and 50 million in their homes, crying for salvation. The people led — Al-Sisi followed. What the West cannot comprehend is the warm affinity between people and army in Egypt, which has endured for centuries. Gamal Abdel-Nasser is a recent example, even when he ruled with the firm grip of a military dictator. Whatever else is going on in the rest of this vast universe, this much is certain — Al-Sisi has captured the imagination of all Egyptians, if not all the world. He popped out of nowhere — almost — and his secret ingredient was hope. Napoleon Bonaparte once said “a leader deals with hope”, and the brand of hope that Al-Sisi deals, breathed new life into our withering, perishing dreams. Are heroes born, made or chosen? Perhaps, all of the above. William Shakespeare believed, “some are born great, some achieve greatness and some have greatness thrust upon them.” Our hero may be the latter, for he sought nothing, yet emerged unexpectedly, admired and beloved, and in full army regalia, smoothly assumed the role he was born for. The Forward’s great cartoonist Eli Valley responds to anti-Iran doom-mongering by Israel lobby figures like Sheldon Adelson. Edward Said interviewed by Salman Rushdie at the Institute of Contemporary Arts in London (September 1986).